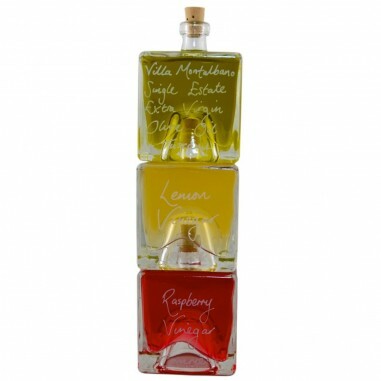 This magnificent set of 3 beautiful stacking cubed shaped Mystic 100ml bottles, contains 3 of our most popular products from our olive oil and handmade fruit vinegar range. 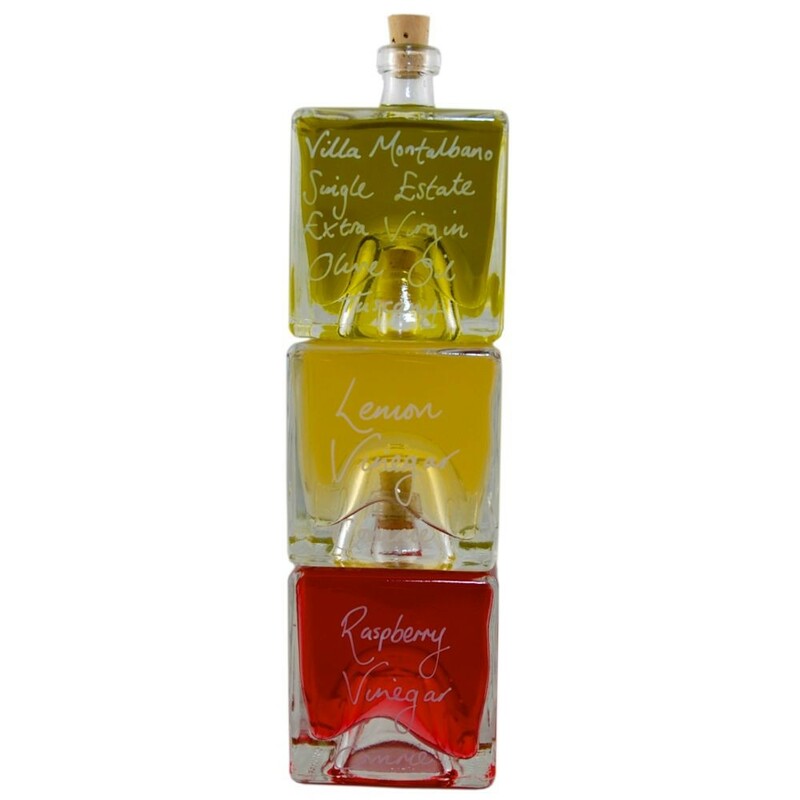 On the top is our bitter sweet Lemon Vinegar, in the middle our now famously fruity Raspberry Vinegar and on the bottom, our freshly harvested Villa Montalbano Extra Virgin Olive Oil from Tuscany. 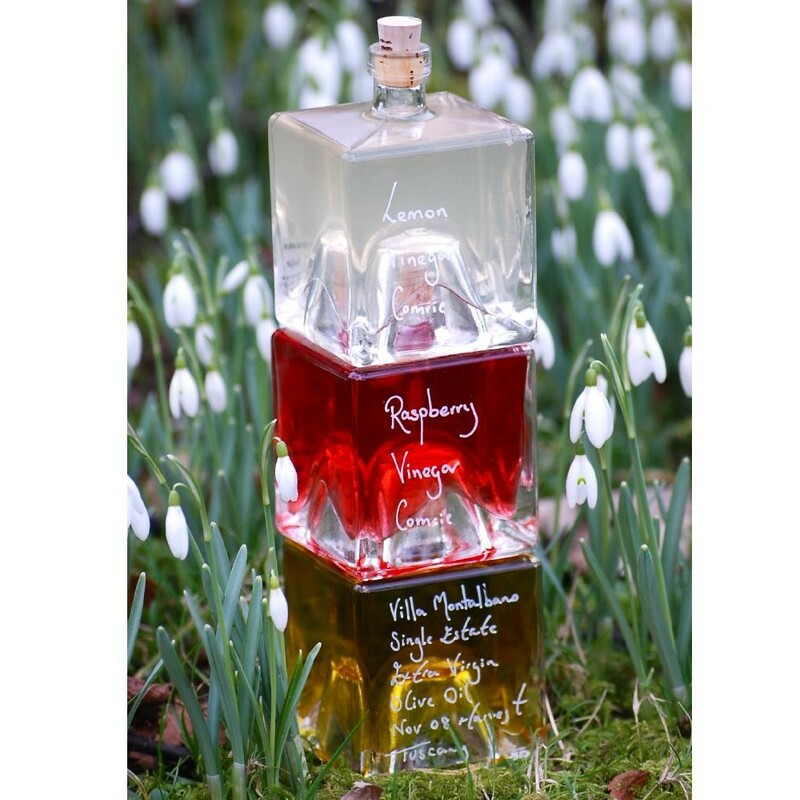 The vinegars can be combined with the olive oil to make delicious salad dressings, or used on their own to enhance sauces, gravies or even marinades. 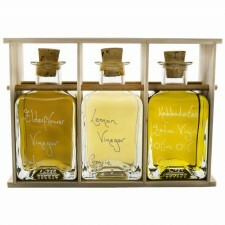 The Oil & Vinegar Trio would make a wonderful gift idea for any food lover at any time, this could be the perfect treat for the gourmet! Not happy with the contents? 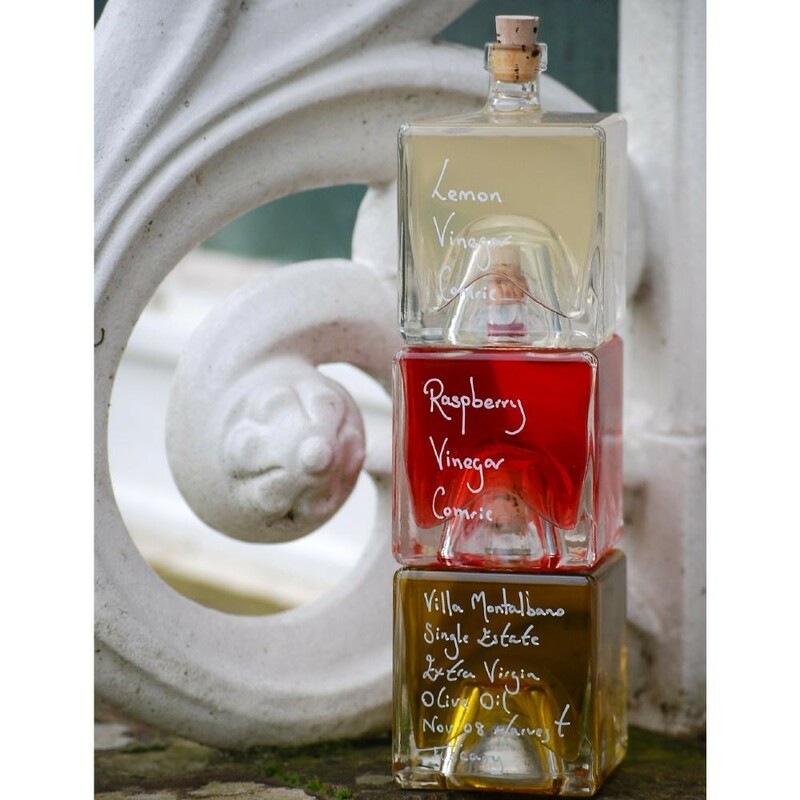 Then choose a different set of contents to personalise your bottles further, simply click Mystic 100ml bottle and fill your bottles with your choice of products.